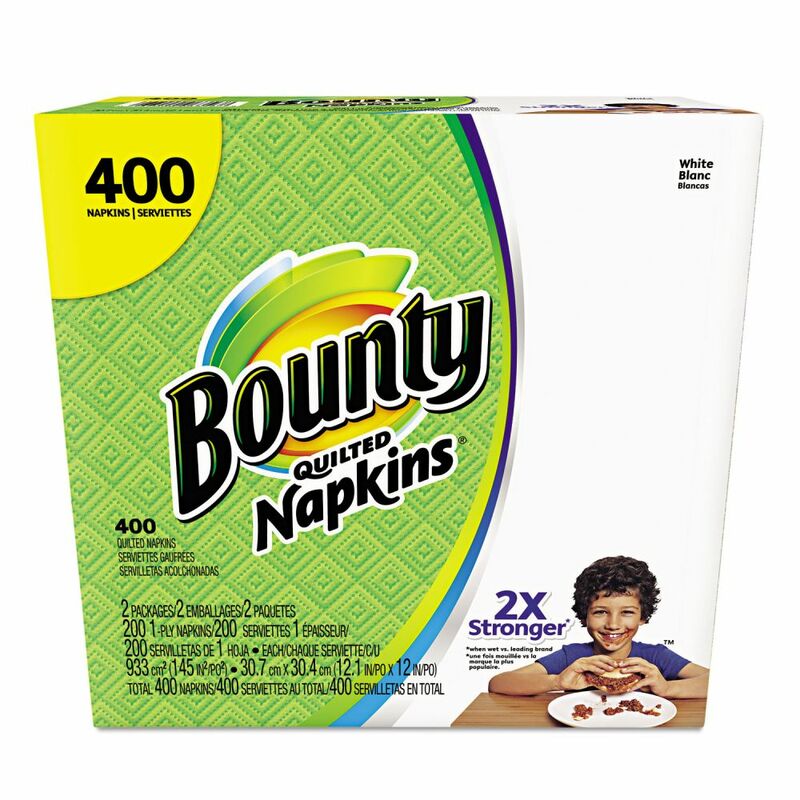 With Bounty Quilted Napkins, you'll feel the softness. Whether your family loves messy barbecues, spaghetti, or your own secret sauce, Bounty Quilted Napkins will wipe away messy hands and faces with a soft touch. ; Holds up to your mealtime messes; Thick, strong and absorbent; 1 ply, 12.